Russell Westbrook is a lot of things: NBA All-Star, Olympic champion, basketball fan favorite. 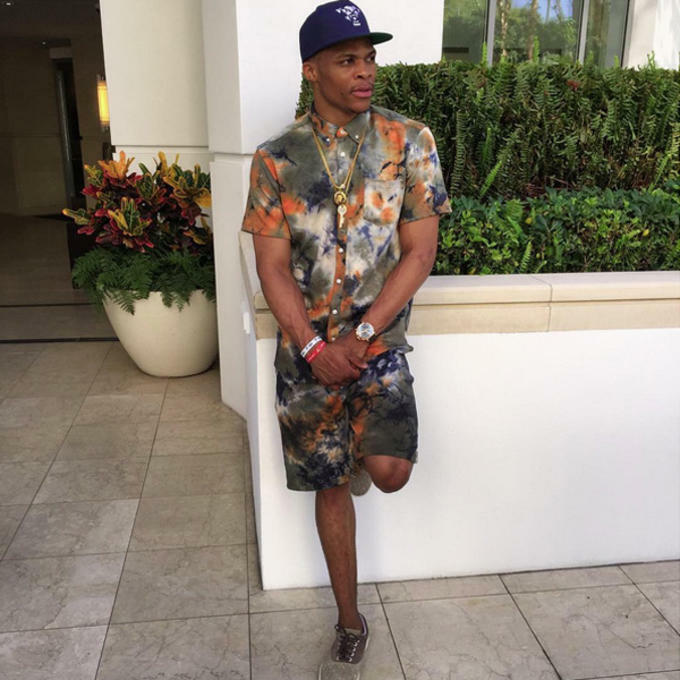 In addition to his athletic feats, he’s also quickly become a force in the world of fashion. The Thunder’s star point guard rose to fame with his bold and often outlandish looks, but over the past year he’s refined his style and now more closely resembles someone you’d see sitting front row during Fashion Week. Hot on the heels of his 2015 holiday campaign with True Religion, we chatted with Westbrook about the evolution of his style, the importance of a good pair of jeans and even got some answers about his most memorable fits. To start, let’s talk staples. What are some of your go-to pieces that you always find yourself wearing? 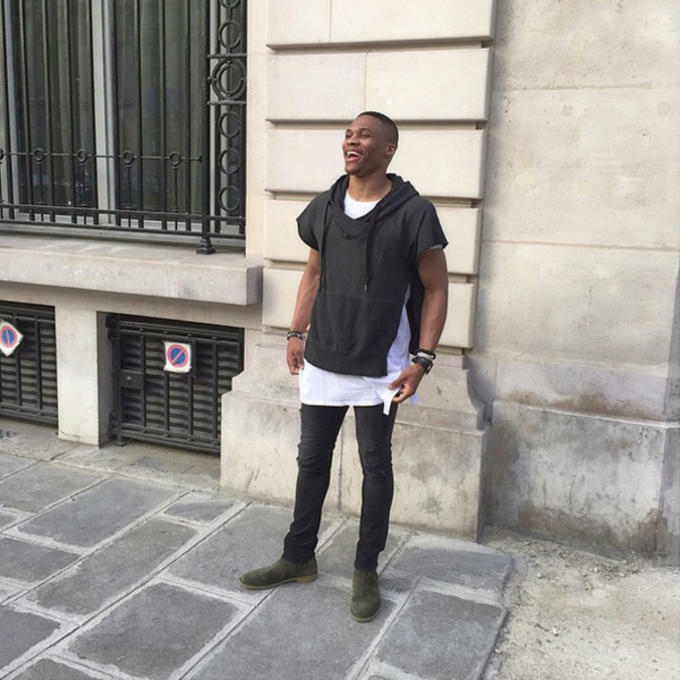 Russell Westbrook: My staples are great jeans and nice T-shirts. I like longer T-shirts and you have to have them in the basic colors: white, black and grey. How important is it for a guy to own a good pair of jeans? I think it is very important for a guy to own a good pair of jeans. You can dress them up or down—if you have a good pair of jeans you can wear them anywhere. Your style always keeps people guessing. One day you’ll be wearing something from an iconic fashion house and the next you’ll be sporting something from an up-and-coming streetwear brand. How important is that versatility to your style? It is very important to me to make sure my style is always changing and evolving to include all kinds of brands. I am very blessed to be in the position I am in now, to be able to afford designer clothes, but there are brands out there making great stuff that is much more affordable and I still shop from those brands. How do you feel your style has evolved over the years? My style is always evolving. It changes every day. I travel so much that it changes based on the city I am in, the weather, my mood—everything has an effect on my style. Do you dress for a game day any differently than you do for a day off the court? It depends what I am doing. If I am just going to practice and then hanging out at the house then I might just wear some sweats, but if I am going out to a nice dinner I might get dressed like I would for a game. Every guy who’s into style has that one item in his closet that he wouldn&apos;t trade for the world—his grail. What’s your grail? My shoes. I can’t even pick one particular pair out, just my whole shoe collection. I couldn’t ever give up my shoe collection. Streetwear or high fashion. You can only pick one. And why? Streetwear. I am from LA and streetwear is so big there—it is a big part of who I am. This look got a lot of attention. 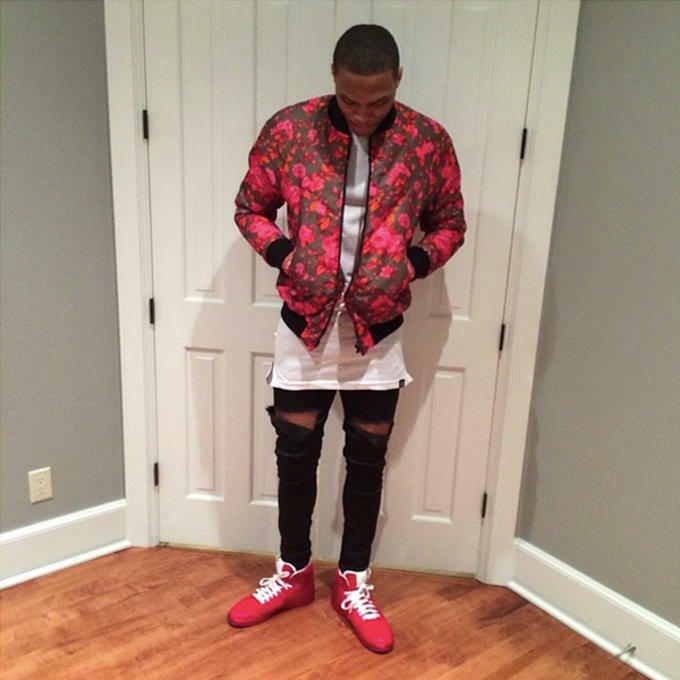 That floral bomber jacket is definitely a standout piece—what made you pick that up? I just liked the bright colors and the contrast of the flowers and the tough bomber jacket style. Those jeans didn’t have rips in them; I cut them myself right before I left the house to add to the look. Within the last year or so you’ve been dressing in a more monochromatic aesthetic. Would you still wear a bright, bold print like this? Yeah, you might see me pull something like that out this season. You never know. This fit is very telling of how your style has changed this past year. How do you approach putting together a look like this? Do you start with a specific piece of clothing and work from there? With this one I started with the denim shirt. I got it at a vintage store—I don’t even know what brand it is—but I liked the shirt and started from there. When do you make the call between sneakers or boots for an outfit? I have been into boots lately and now that it is getting colder you might see me wearing boots more. It all depends on the weather and my mood. The jeans are definitely the standout piece from this look, what do you like most you about True Religion denim? How do you pick out accessories to help bring an outfit to the next level? Accessories are the last thing I add to my outfit to help complete it—just don’t go overboard. This look is on point. Given your involvement in the world of fashion, how important is it for you to stay current with up-and-coming brands? I like finding new brands and keeping up on what is up-and-coming. When putting together a look like this, where do you start? Do you start with the kicks and work your way up, or vice versa? Since this is kind of a full outfit you have to start with the clothes and then add the shoes and hat. 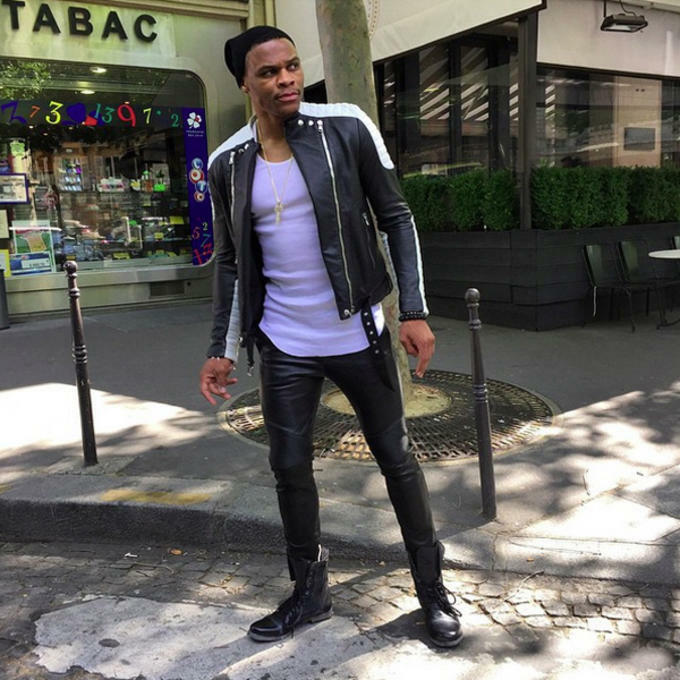 This fit from Paris Fashion Week is very biker-inspired. Can you talk about the inspiration behind this look? I wore this to the Balmain show in Paris and I liked the biker/rocker look of it. It was a fun, edgy way to end Paris Fashion Week. What kind of kicks would you usually pair with a look like this? I stuck with boots to complete the biker look.